Samson Gang Yu obtained his BSc in electrical engineering from Dalian Maritime University in 1982, and his international EMBA from Hong Kong University of Science & Technology in 2007. Mr Yu joined Kangxin Partners, PC in 1998 and was promoted to managing partner in 2001. His background and extensive experience in IP law has distinguished him as one of the leading experts in the IP industry. Mr Yu began his IP career in 1984 as a patent attorney with the CCPIT Patent and Trademark Law Office, eventually serving as deputy director of its German office. In 1990, he joined a US IP firm in Silicon Valley as a patent attorney. At Kangxin, Mr Yu currently practises all aspects of IP law, specialising in patent and trademark prosecution, due diligence and client counselling. He has successfully litigated numerous IP disputes involving patent and trademark infringements and unfair competition. Mr Yu worked as an IP strategic designer and advisor for many of China’s top companies, providing them with valuable investigation services in their overseas company acquisitions. 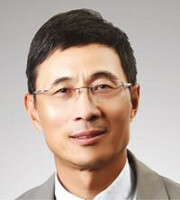 He is also experienced in assisting Chinese companies in their response to International Trade Commission Section 337 patent prosecution in the United States and was appointed as one of the principals in charge of the “Study of Research and Optimisation on Law Risk Management and Control System for Group Corporations” by the State-owned Assets Supervision and Administration Commission. The majority of Mr Yu’s clients are international Fortune 500 companies. In addition to being acknowledged as one of the top experts in the IP industry, Mr Yu serves as an internationally renowned guest lecturer, advisor, published author in IP law and writer in IP service guidelines. He is routinely invited to lecture at international conferences.